Last month I visit Greece for the first time. Or to be more specific I spent a week in Corfu, an island off the north-west coast of Greece. Before going I did do some research for my trip, but found that most (specifically) blog posts about Greece were focused on the more popular destinations such as Santorini or Mykonos, and there was little on Corfu. Naturally I wanted to remedy this and put together a little Corfu travel guide for anyone wishing to visit. There will be two parts, this one is more of an overview about where I visited, excursions I found out about whilst there, and what Corfu can offer you. Part two (here) is focused on Kassiopi, a lovely town that was near where I stayed, accompanied with a mini vegan food guide. 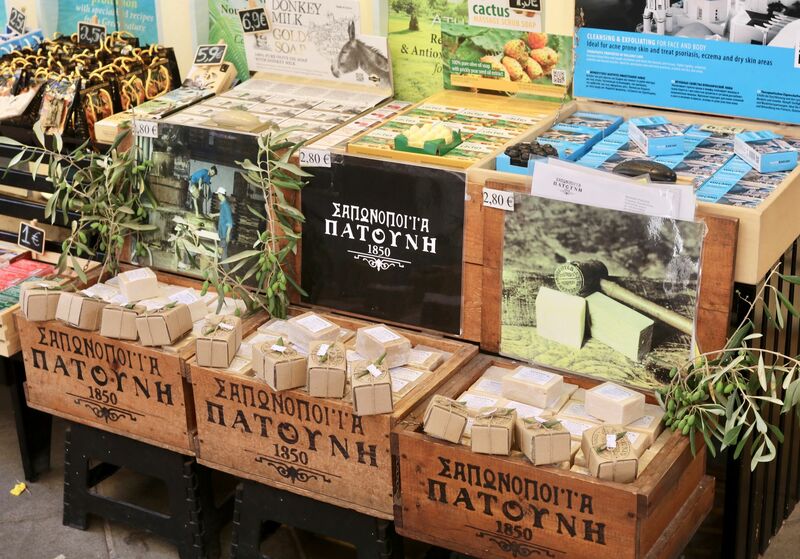 Yes, you can be vegan in Corfu! First of all, where did I stay? 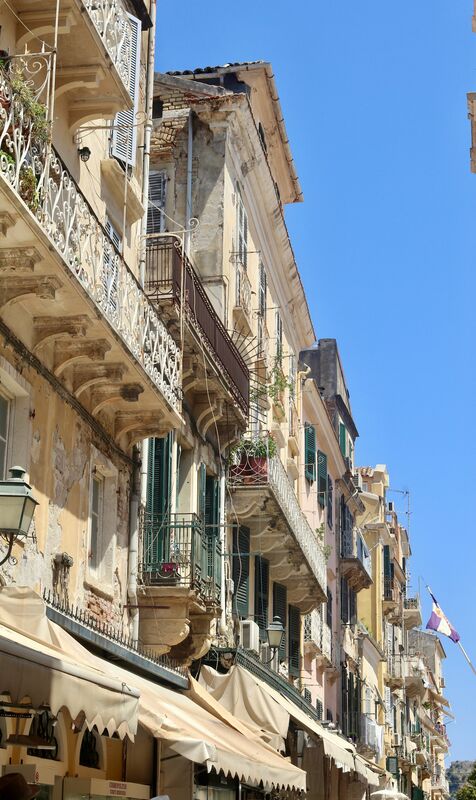 I stayed in the north part of Corfu, which was away from the ‘normal’ touristy areas that are prodominantly from the middle to the south of the island, which was quite refreshing as I had more of a local experience. However there were some lovely popular tourist destinations that looked really amazing, which I talk about later in this guide. The villa I stayed at was not an easy walk away from restaurants, or pretty much anything, so a car was needed to get around. Top tip: Cars and bikes are the main way to travel round Corfu, so I’d recommend hiring one before your trip. Room with a view. 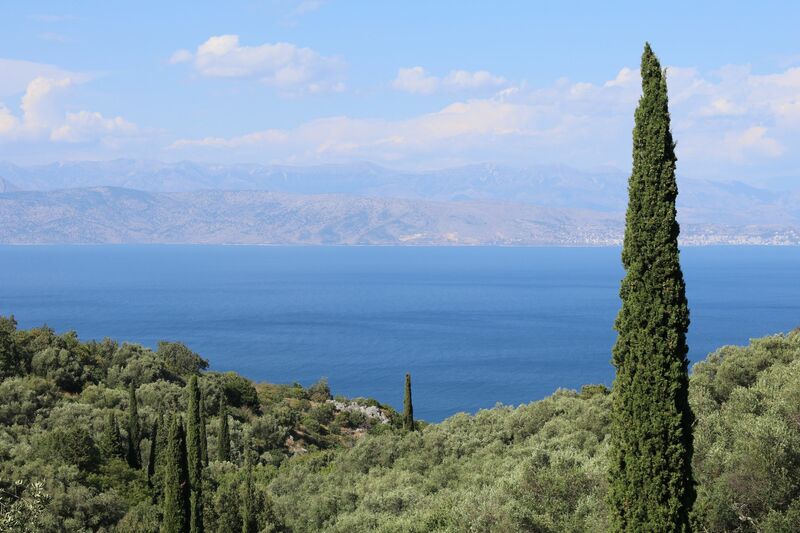 The villa I stayed at had an amazing view of Albania. Kassiopi was the nearest town to where the villa was and features many things to do: beaches to visit, a ton of restaurants to dine at and plenty of shops to satisfy every kind of shopper. In addition to being a hub for booking every excursion you can think of. 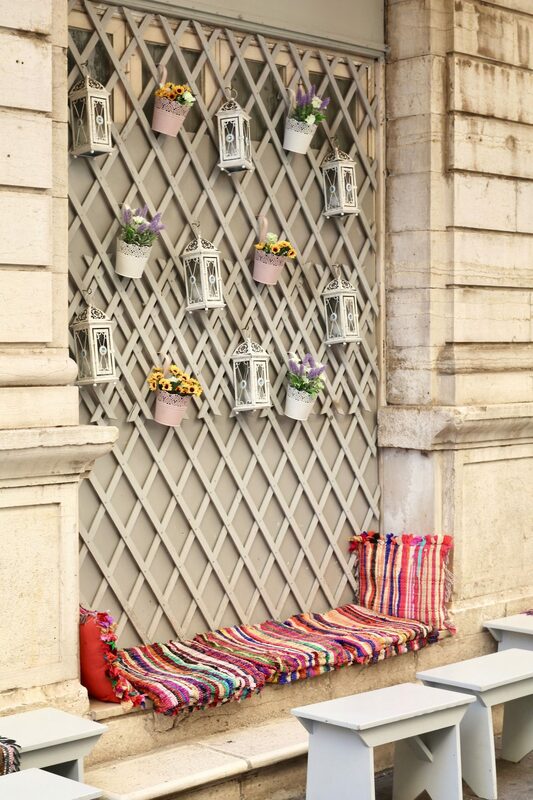 You can easily spend half a day or a day wandering the streets and soaking in the atmosphere. 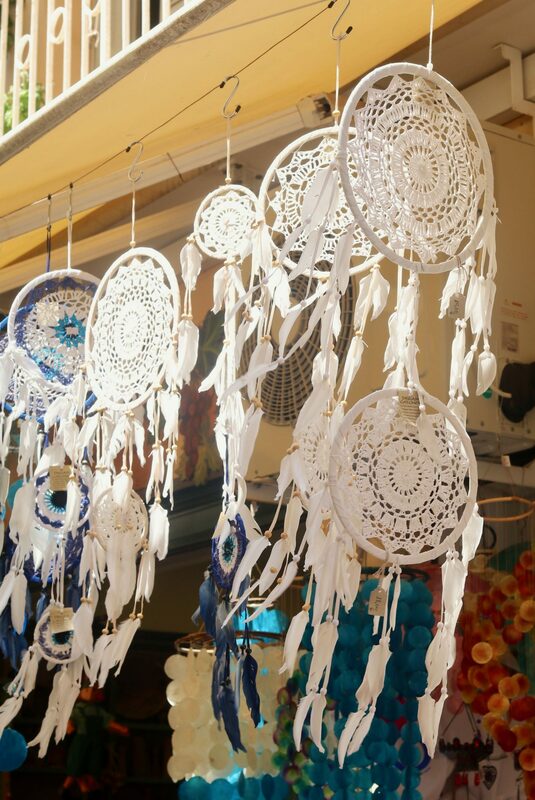 I’m going to be putting up a separate blog post all about Kassiopi – my favourite shops and where I would recommend to eat very soon. So stay tuned for that! You can now view it here. 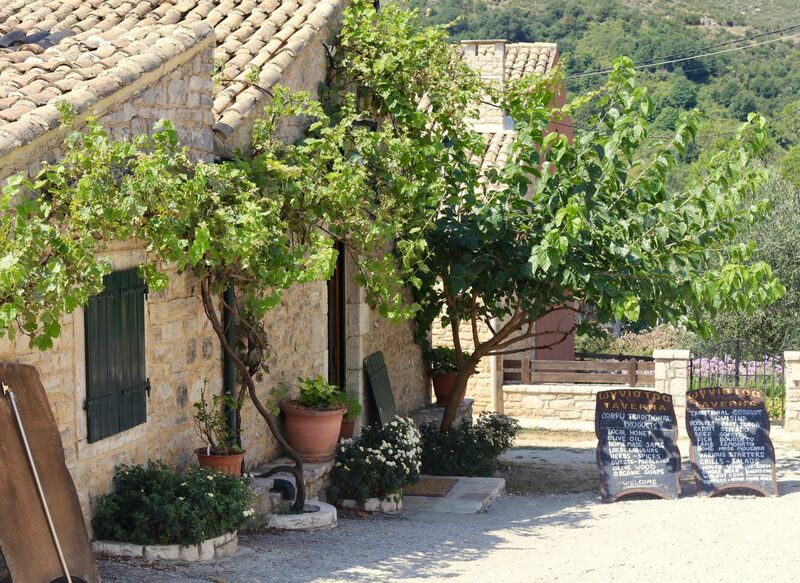 There are many places where you can go horse riding in Corfu, but the one that I found to be highly recommended was Arena Horse Riding, based in Perithia. Sadly I didn’t get to do this experience, but having done a ton of research before and after my holiday this one seems to be one of the best places. There are a number of price points depending what you want to do, e.g. you can go to the beach and swim with the horses, ride for an hour, half a day or a full day trip. Note: In case you were worried, I’ve read many reviews from other people saying that the horses are treated very well and are well looked after. Surprisingly – or maybe not so surprising if you know me very well – I only visited one beach during my trip called Agios Spiridon. If you fancy having a chilled day and wanted to catch up on some reading you can rent chairs and an umbrella for a reasonable price per day. Or if you prefer to be doing something other than lying in the sun and paddling in the sea, you can hire kayaks and pedalos – there are bigger pedalos available that have slides on them, which kids will thoroughly enjoy. Agios Spiridon was a lovely sandy beach that’s fairly clean and asks its visitors to help keep it clean by having a number of rubbish points located at the back of the beach. 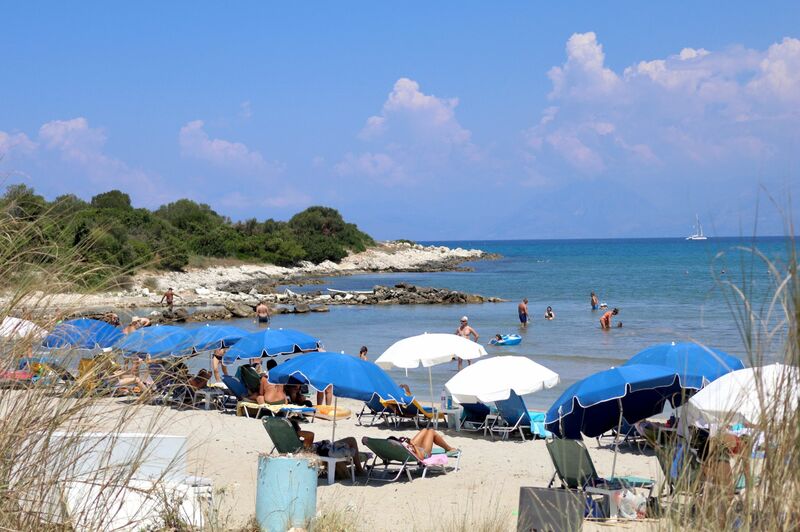 If you get hungry or thirsty there are a number of restaurants that are only a short walk away from the beach offering your typical Greek cuisine in addition to drinks and of course much needed ice cream and lollies. You can hire a boat to take you round the island, or why not rent a boat for half a day yourself and go exploring. So many people in Corfu were hiring boats and taking day trips around the island which looks super fun and gives you the freedom to go to other areas you may not have been able to visit unless you drive. 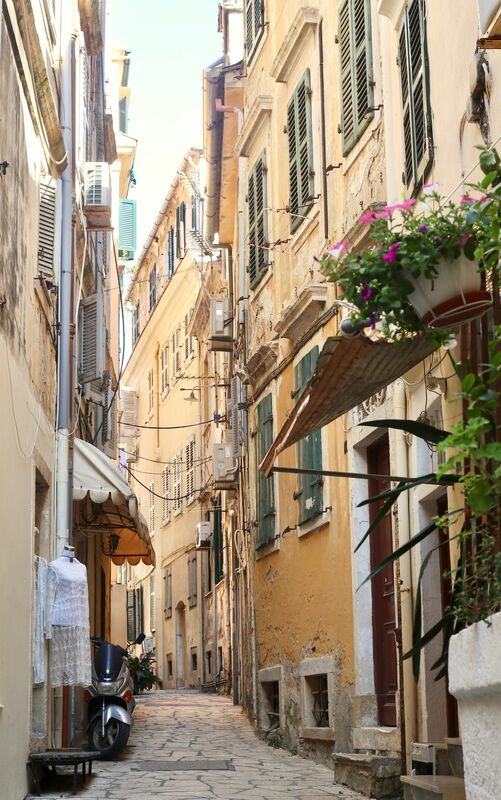 If you’re looking for a more ‘happening’ city in Corfu, Ipsos is the one for you. I only drove through here but could immediately tell I would have liked to go for a day trip or two. Although it’s quite touristy – mainly because the beaches look amazing, there’s plenty to do and it’s a good hub for nightlife – it’s not the type of touristy that would put me off. It’s busier, but there’s so many things to do that not one particular area looked over flowing, nor were cafés or restaurants too packed. Upon doing some research Ipsos seems to have lots of things for everyone, which is probably why it’s a go-to for tourists. However if you were staying in this area I would highly recommend taking day trips to other places to get a bit more of a feel for Corfu as Ipsos only shows you one side. I don’t just mean hiring a normal bicycle, but instead why not hire a quad bike (ATVs) for a day and explore the area which you’re staying, or hire one instead of a car. Quad bikes are very popular in Corfu, especially for tourists, and are available to hire practically everywhere. 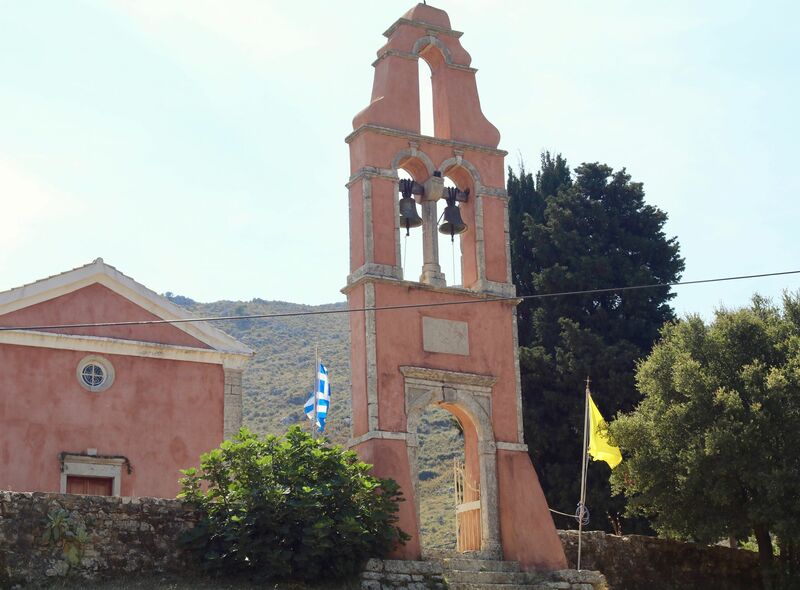 One of the oldest villages on the island and a protected heritage site. 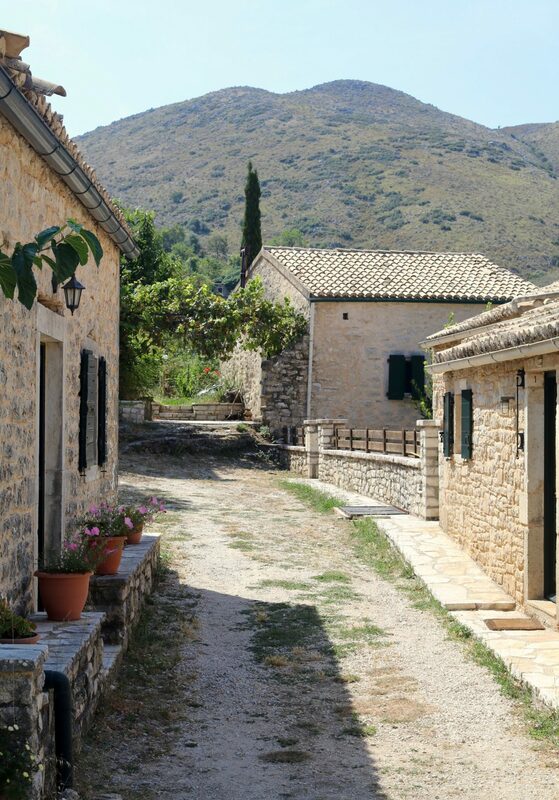 The old village of Perithia takes you back in time with it’s well preserved history. There’s not much to it, but it’s a lovely place to walk around and spend the morning or afternoon having wander, and enjoying the mountain views – these were stunning! And of course there are a number of restaurants if you fancy a drink or some lunch, as well as local products you can buy and take home. 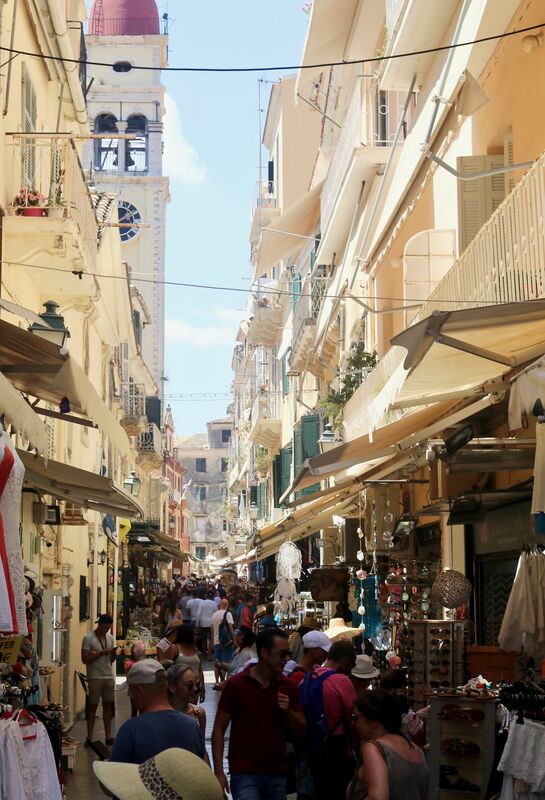 Probably one of the most well known areas, Corfu town is a hub of life in Corfu. The airport is not that far from from here, so if like me you stayed further north you can explore the town before your flight out – if you have a late afternoon or evening flight that is. If you’re going on a cruise and one of your stops is Corfu you’ll be making port close to the Old Fortress just outside of Corfu Town, a popular attraction that’s not hard to miss. An amazing feat of ingenuity, the Old Fortress allows visitors to walk around leisurely at your own pace and explore it as well as a small museum, church and why not go to the cafe for a pit-stop. Top tip: If you’re driving to Corfu town for the day there’s a number of car parks in and around this area, I used one near the Old Fortress that cost €3 for the whole day, but you might want to get their in the morning to get a spot otherwise you may be driving round trying to find a space, especially if you travel in peak tourist season. 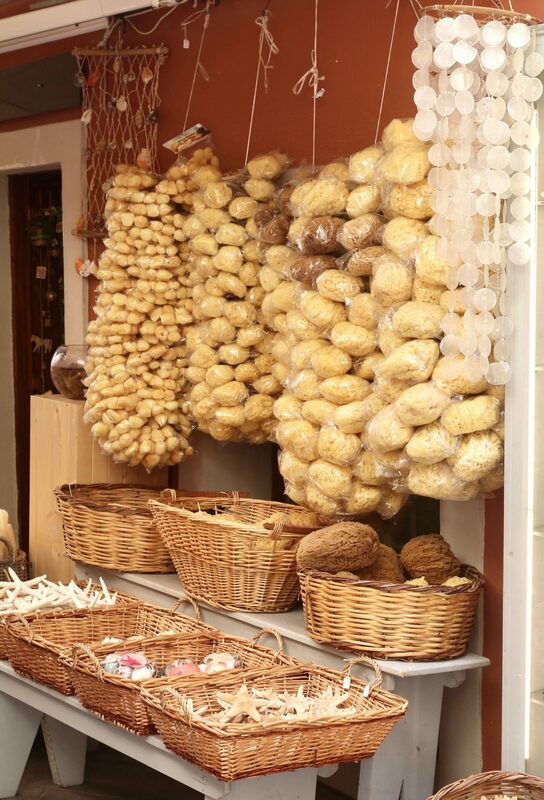 There are a variety of restaurants in Corfu town, from restaurants big enough to engulf the whole side of a building to restaurants that appear from no where in the nook and crannies of the back streets. Both offer a wide variety of choices and different experiences. 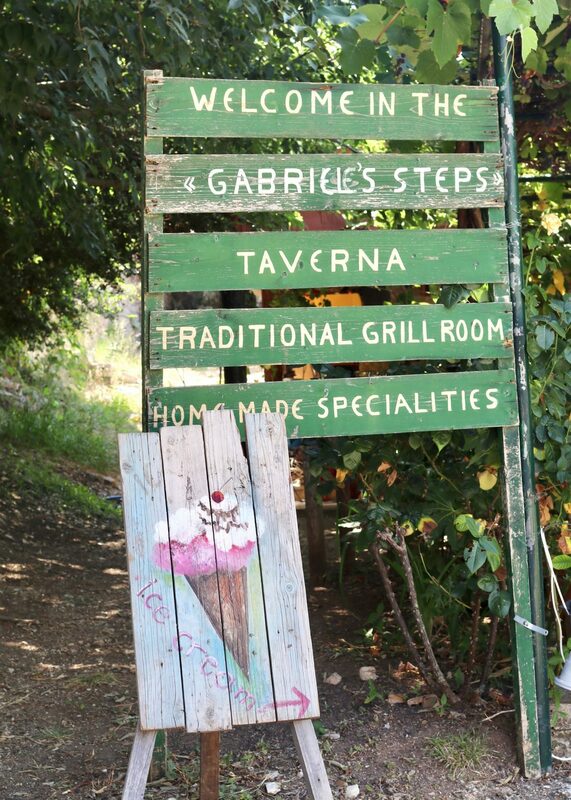 For me personally I love the hidden restaurants as the owners are very involved in the running of their restaurant and like to meet customers and start up a conversation with you, while tempting you with their signature dish/es. 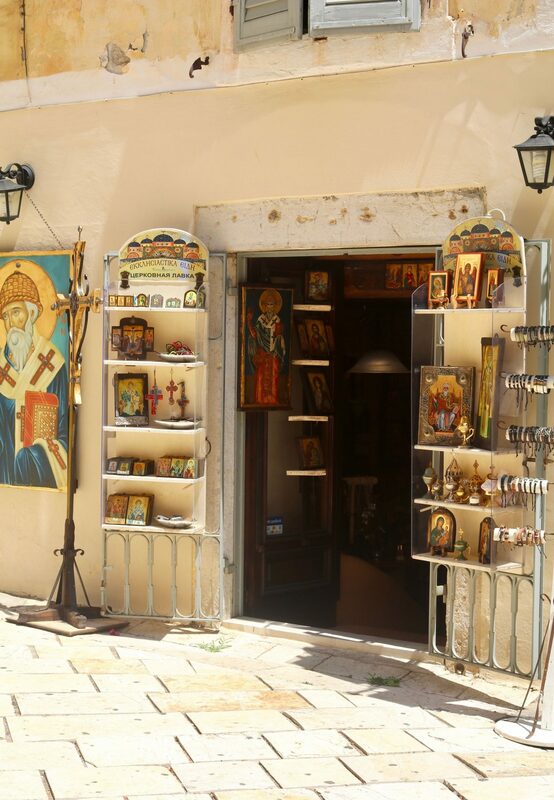 If you’re looking for a souvenir you’re surrounded by a wide variety of traditional gifts like: Limoncello, olive anything – wood, soap… I can’t remember what else but there’s bound to be more, textiles, jewellery, religious icons and so much more. Whether buying for yourself or for a friend or family member you can find something for everyone here. ● Wasps and hornets are a fact of life here, and if – like me – you turn into an athlete and run into the villa like a shot when one comes buzzing around, you might want to buy some citronella candles from your local supermarket to keep them at bay. ● Money: you can pay with cash or card in Corfu. However it’s usually better to have cash on hand at all times as some restaurants and shops don’t except card. However there are some restaurants that say they don’t except card but they actually do – sometimes you need to haggle or turn to leave for the hosts to say that they do except them. If in doubt check before you go to sit down. ● Like most places in Greece cats are everywhere, and most of the time they are feral – the ones I saw in the north part of the island were, but this might be different in other areas. Most of them run away if you approach them, but some are more friendlier and will usually let you pet them. Of course you do get some cheeky cats hanging around restaurants trying to guilt you out for some food. If you are allergic to cats I’d recommend you bringing some allergy medicine just in case. ● Bring more than just flip flops. They can be great for the beach, but if you plan on walking a lot you might want to bring some other shoes to keep your feet comfy. ● During my trip (July 2018) Corfu were having issue regarding rubbish collections, I’m not entirely sure why, but this resulted in rubbish being piled up around local bins and sides of the road. To help reduce your plastic waste why not bring your own reusable water bottle to fill up at restaurants and cafés – you’ll be needing to stay hydrated as Corfu can get very hot in the warmer months and you’ll go through loads of bottles of water if you buy them from the supermarket. 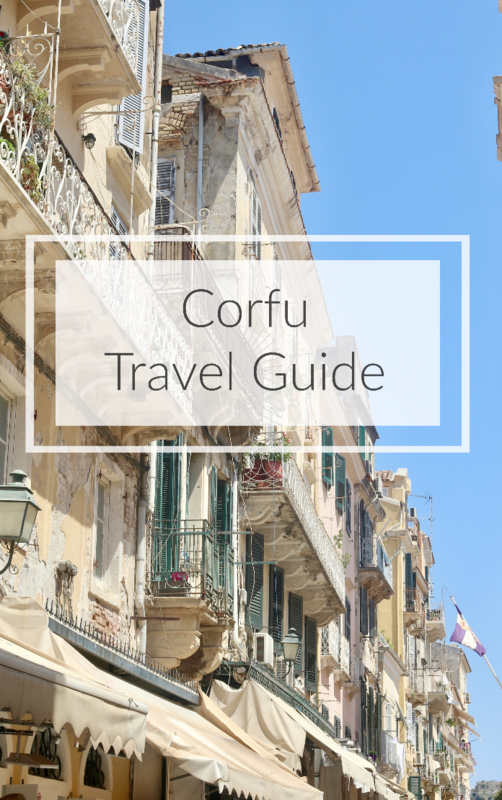 Did you enjoy this Corfu travel guide? Let me know in the comments below! Your pictures are amazing! We love Greece, been there a few times but never to Corfu, this made me want to go there next time! This was my first time in Greece, do you have anywhere you’d recommend for when I go back? We just spent a week in Rhodes a couple of months ago and had a blast touring and relaxing, really loved it (when I get to it, will write a post about it). Crete is great too.